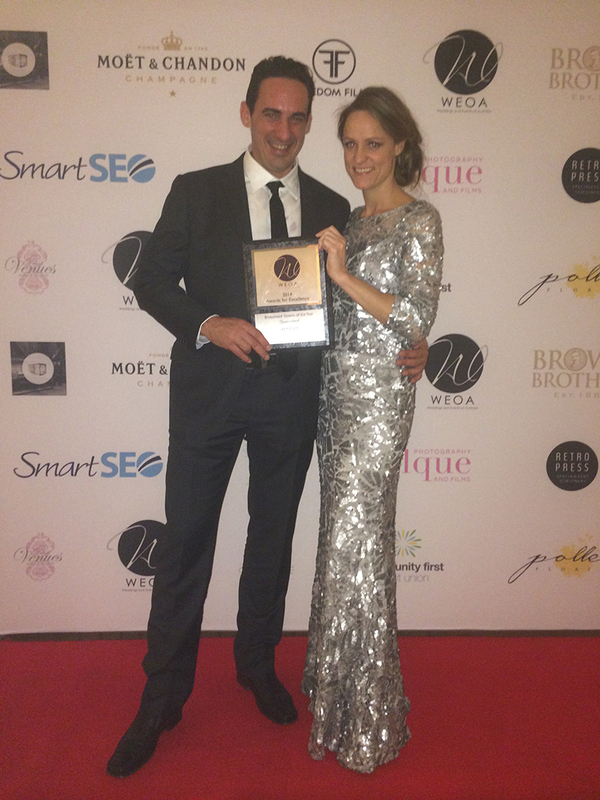 Tania Olsen & Partner Marco Diluzio celebrating their win! 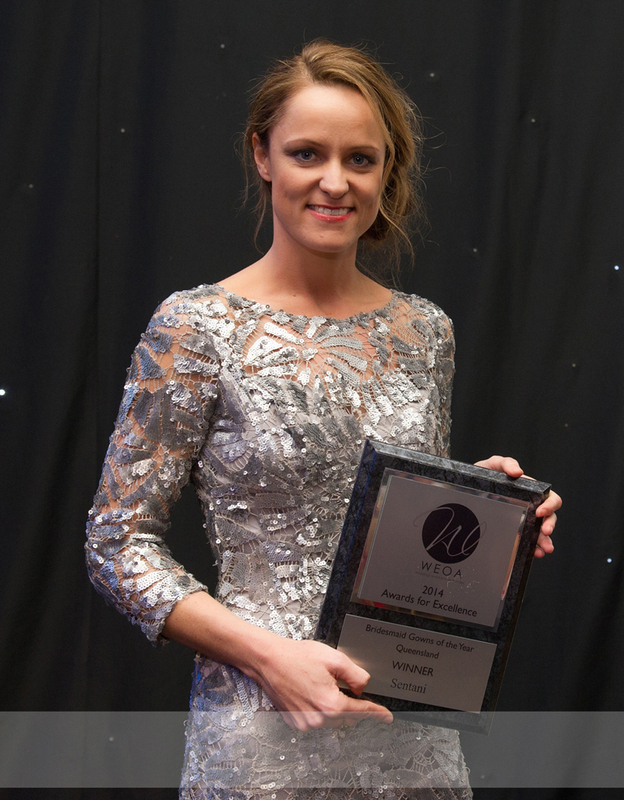 We are proud to announce that Sentani Bridal & Evening wear is the winner of the WEOA awards for bridesmaid couture dress of the year! Hooray! Sentani Wins at WEOA Awards! When we here at Sentani were approached by Weddings and Events of Australia (WEOA) to become a member of their incredible list of bridal wear suppliers we were absolutely honoured! 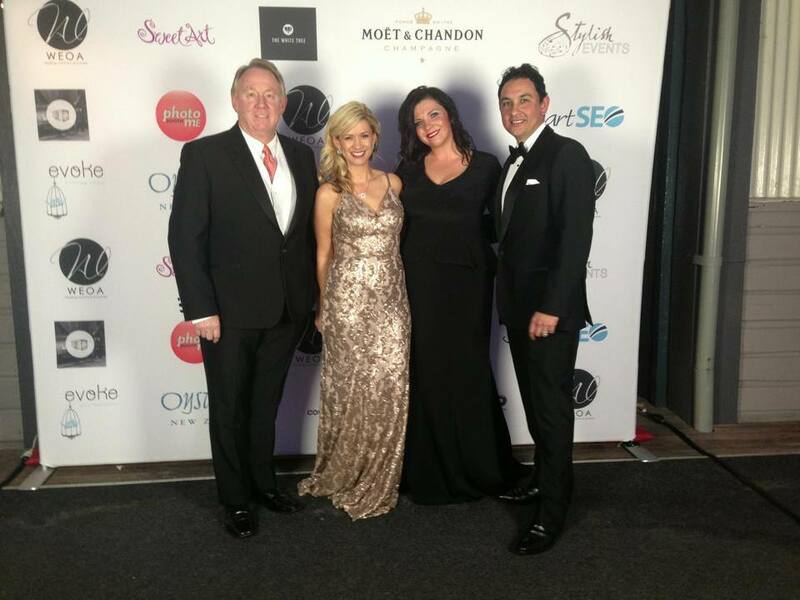 With such a wonderful array of members on the judging panel, such as Wendy El-Khoury of Wedded Wonderland, Victoria Black from Modern Weddings and the famed Steven Khalil, my team and I were so excited to be listed as a Finalists for the 2014 WEOA ‘Awards for Excellence’ for Queensland in the Bridesmaid Gown Couture Category. Weddings and Events of Australia (WEOA) is an independent organisation dedicated to sourcing and recognising the talented suppliers within the Australian Bridal Industry. Basically, doing the work for you!! !